Dome Valley Raceway in Wellton, AZ will be holding a Test and Tune day on Saturday March 9th. Testing will start at 10AM. For more info, contact Ernesto Juarez at 928-503-9675. The El Paso Motorplex in El Paso, TX held their first race of the 2013 season on February 23. Click “Read More” to view the results and photo gallery from this event, courtesy of the El Paso Motorplex. Also, there is more exciting news from the El Paso Motorplex in that there will be a Guaranteed $500 Purse in the Top Eliminator class with a 2 car minimum. The track points will be a battle as they are putting $3000 into the points to be split among the classes to guarantee minimum of $300 payout to the points leader at the end of the season, the points will be $20 per racer, and their points money will go towards the final payouts for their class, increasing the money to the season winners. Each class will pay 1st, 2nd and 3rd place in the points standings with trophies for the same. They also are offering a "Second Chance" race at each event, where everyone but the winner for that night can race again for $100 winner and $50 runner up. West Michigan Sand Dragway in Mears, MI and new General Manager Buddy Hammett are preparing for the 2013 sand drag racing season. Buddy has released a newsletter outlining some changes and his plan for improving the facility in the upcoming season. Click the link below to view the Newsletter. 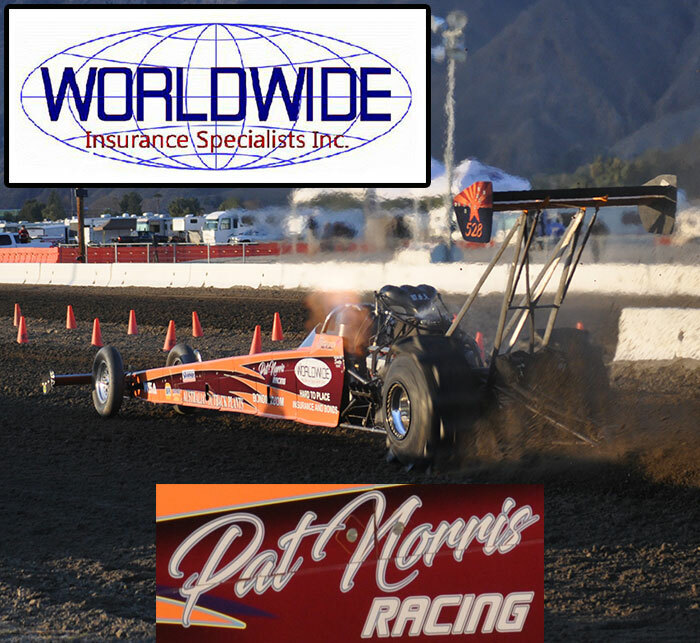 Dome Valley Raceway in Wellton, AZ will be hosting the Inaugural March Madness event coming up on March 23-24. This will be a normal Dome Valley two-day race event, with the only change being that the Junior classes will be contested on Sunday this time. The race information has been released recently. Click the links below for all of the info on this great upcoming event. Pro Truck Nationals (PTN) is excited to announce the beginnings of a great 2013 race schedule. The first season under management of new owner Buddy Hammett, and primary sponsor Mid-West Coatings, will include the exciting new PTN Fast Fridays series. The PTN Fast Fridays series will consist of four Friday night shows at West Michigan Sand Dragway in Mears, MI. The headline class will be the PTN 3.5 Index category. The new PTN 3.95 Index Pro ATV will also join PTN 3.5 Index as a points bearing category. An Ironman Sportsman Car category will join the other two classes for each PTN Fast Fridays show. Dates for the PTN Fast Fridays series will be May 24, July 5, July 26, and August 30. Also, announced at this time is PTN Championship Weekend 2013, which will take place at West Michigan Sand Dragway on July 19-20. The format for this event will be similar to the 2012 version, but details will be released at a later date. Stay tuned for more events and news from Pro Truck Nationals. Click “Read More” to view Fast Fridays flyer. By popular demand, the Mid-America Sand Drag Series (MASD) will be back for a second season of sand drag racing. After a successful first season of racing and great racer support, the four race series will contest a similar schedule to 2012 at Atoka Motorsports Park (Atoka, OK) and Thunder Valley Sand Drags (Grain Valley, MO). Rod & Dee Trower, of Trower Racing are back on board sponsoring the trophies for the champions. For more info, go to the “Mid-America Point Series” page on this site, and keep checking back for more exciting announcements regarding the 2013 Mid-America Sand Drag Series. Albany Sand Drags in Albany, OR has released their 2013 race schedule. It sounds like some great things are in the works for Albany this season. For more info, go to the Albany Sand Drags Facebook Page or the Albanymx.com website. Click “Read More” to view their race schedule flyer. Torco Race Fuels has agreed to come on board as a Sponsor of the 2013 NSRA Quality Aircraft Care Sand Drag Series. Torco will sponsor the Bracket Bonus award for the Closest to the Dial-In from Round 1 Eliminations of the Sunday Pro Bracket Classes (Pro 1, Pro 2, Pro 3, Moto Pro 1, Moto Pro 2) at all remaining 2013 NSRA series events. The winner of this award will receive a $100 voucher towards the purchase of Torco Race Fuel. In other news, the latest addition to the Quality Aircraft Care/Hammer Down Racing Bonus Bucks program is a $1000 bonus to the winner of the Fast Fours class at the SCSDA Soboba October 4-6 event. West Michigan Sand Dragway in Mears, MI has released its 2013 race schedule as well as announced a change in management as Buddy Hammett has taken over as the track’s General Manager. Among the track’s highlights for the 2013 season are the return of Pro Truck Nationals (PTN) and a $2500 point series fund sponsored by Mid-West Coatings. For more information, contact Buddy at 248-755-9175. Click “Read More” to view WMSD’s 2013 Schedule Flyer. El Paso Motorplex in El Paso, TX is kicking off their 2013 race season on February 23. The El Paso track has been upgraded over the past few months, including the purchase of a new timing system. They will be running a unique Index class format that should produce some great racing. Click “Read More” to view the Flyer for this Upcoming Event. The 2013 Las Vegas Jeep Club Jamboree is complete after a great Sunday of Sand Drag Racing to finish up the event. Nick Shultzman was the day’s big winner as he took the prestigious Pro Drag final round victory over Dave Stidham. Stidham came back and emerged victorious in the X600 (Unlimited Jeep) class over Steve Foster. Mike Smith did a great job with his new Jeep taking the X200 (Small Block Jeep) class win over Chris Adamson, then taking a runner-up finish to Wes Gilmore in the X400 (N/A Jeep) class. Gilmore almost made it two wins on the day, but it was Mike Williams putting him away in the Duner class final. We will have full results soon. In the mean time, click “Read More” for the info that we currently have. The 2013 NSRA Quality Aircraft Care Sand Drag Series has gotten off to a great start with the Season Opener at Dome Valley Raceway. Since that event, a couple of changes have been made to the point series schedule and classes that will be contested. Please read over the Points Standings Document at the end of this announcement for full details. Also, the NSRA series along with Hammer Down Racing & Quality Aircraft Care are proud to announce the new “Bonus Bucks” series. This program will spread bonus cash back to the winners of various classes throughout the 2013 NSRA point series season. Here is the current schedule for the “Bonus Bucks” program: Soboba (March 1-3) - $500 to Winner of Pro 2; Dome Valley (March 23-24) - $500 to Winner Pro 3; Soboba (April 12-14) - $1000 to Winner of Top Eliminator; Avenal (April 27-28) - $500 to Winner of Pro 1. Here is the schedule for the remainder of the 2013 NSRA Point Series. The best five finishes out of the seven events will be counted towards the championship. The 2013 sand drag racing season kicked off on Jan 25-27 at Dome Valley Raceway in Wellton, AZ with the 4th Annual Top Fuel Shootout. Unfortunately, the first two days were held under overcast skies with occasional rain sprinkles, but this did not dampen the spirits as the racing action was as fierce as ever. As the final day of action commenced, the Sun made its first appearance of the weekend producing perfect weather to crown the first winners of the new season.